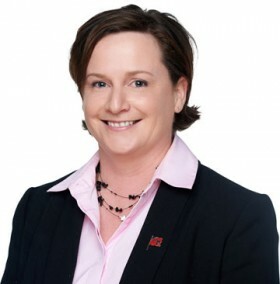 Grainne Richmond [pictured] has been appointed the new president of the Bermuda Insurance Management Association [BIMA], following the group’s AGM this month. Richmond takes over from Robert Paton, executive vice president at Aon Risk Solutions, who has served a two-year term as BIMA president. “The role of president is a great responsibility, but also a great opportunity to continue working with government, the regulator, and a wide range of industry bodies to assist in ensuring a strong future for the Bermuda captive insurance industry,” said Richmond, who is vice president of Dyna Management Services, a Bermuda-based insurance management company. A chartered accountant, Richmond has worked in accounting and insurance since 1996. She joined Dyna in 2011, having previously worked in Bermuda in the area of captive insurance management and fund administration. Her prior experience includes positions with Artex Risk Solutions [Bermuda] and International Advisory Services [now Marsh IAS]. Previously, she worked in Ireland with PriceWaterhouseCoopers and Deloitte. “I look forward to continuing and building on the great work and initiatives started by my predecessor, Rob, including working with BIMA membership and liaising with the BMA on initiatives impacting the captive industry, both here in Bermuda and abroad,” said Richmond. “We’ll also be lending support to the Bermuda Business Development Agency [BDA] on jurisdictional advocacy overseas, helping to spread the message that ‘Bermuda is Different’—that Bermuda is a blue-chip domicile known for robust regulation, transparency and compliance. “Another area of continuing focus for BIMA is informing and educating people on the island about the important role the captive insurance industry has in Bermuda—and encouraging more young Bermudians to step into this space,” she said. BIMA was established in 1977 and is an association of professional insurance managers and other captive service providers in Bermuda. Its mandate is to protect the interests of members and their clients—more than 900 Bermuda registered insurance, reinsurance companies and SPIs. BIMA currently represents more than 28 licensed insurance managers and 14 associate members, including banks, audit firms, law firms and corporate secretarial firms. Bermuda is the top global captive jurisdiction, home to more than 800 captive insurance companies, supporting primarily Fortune 500 corporations in the US, and generating over $48 billion in annual gross written premiums. A total of 22 new captives incorporated in Bermuda in 2015. Bermuda-based captives support an estimated 25 percent of the American medical insurance and reinsurance market, and a growing number have originated from Canada and Latin America in recent years.